Happy Mid-Autumn Festival to you all! If you don’t know already, this Chinese celebration is liken to the Western Thanksgiving as its origins were tied to celebrating the end of the harvest season. 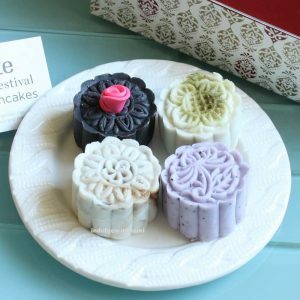 One of the most important and symbolic customs during this time is the sharing of mooncakes between family and friends. 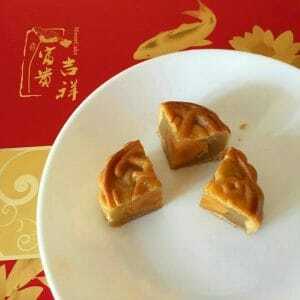 Mooncakes are small round cakes with a main body that consists primarily of lotus seed paste and usually accompanied by two to four preserved egg yolks. As you can see, the Chinese appreciated complex flavour pairings even before they became a popular gourmet trend it is today 🙂 After hearing an eloquent first-hand account of a Canadian friend’s reaction to his experience with Moon Cake tasting as told with a scrunched up face, I believe this particular combination of both sweet and savoury may be somewhat of an acquired taste. Luckily nowadays, increasingly more pastry shops are creating East-West fusion versions of this traditional treat that everyone can enjoy. 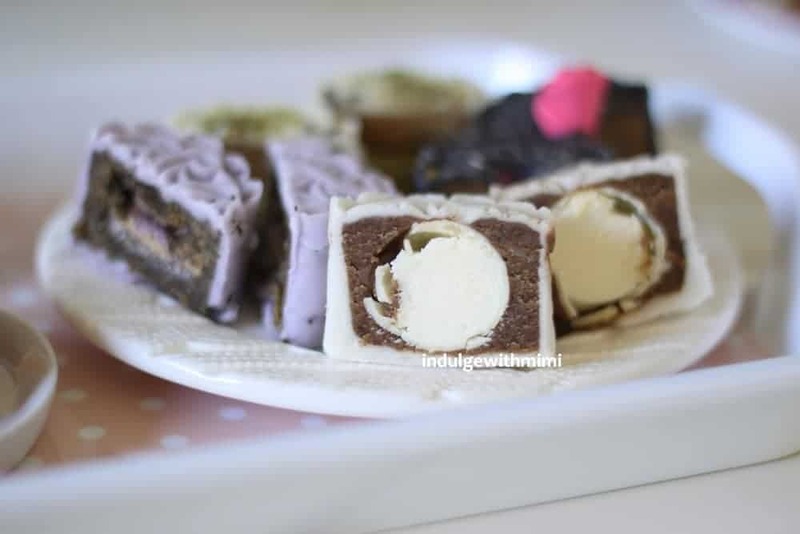 One version of these cakes which was made popular a few years ago was the Ice Cream Moon Cake. It was a delicious frozen apparition filled with ice cream wrapped with a thin mochi skin. Needless to say it was very popular with the younger generation as they were both tasty and beautiful. 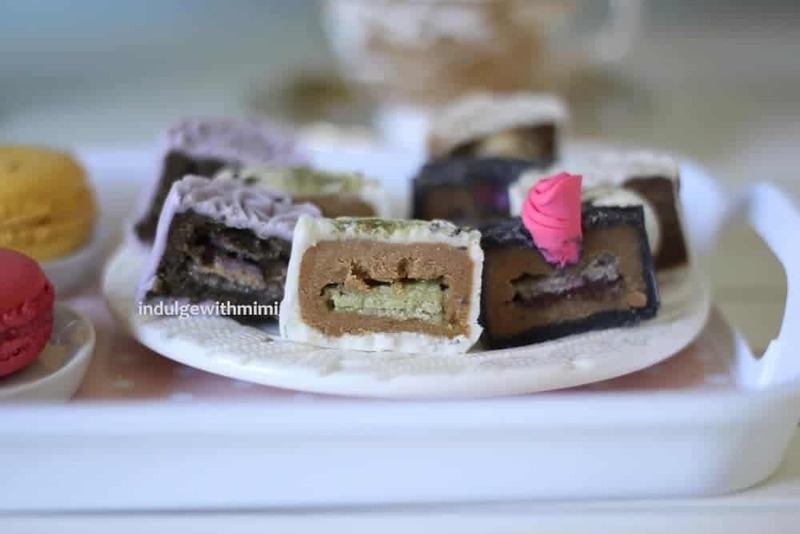 Mooncakes filled with macaron-filling flavoured lotus seed paste and covered by a thin layer of mochi. 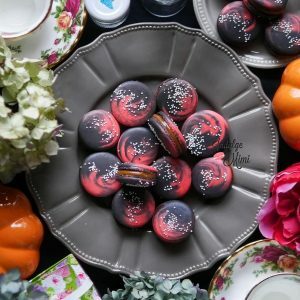 Now, you know there is nothing macaron related that I won’t be willing to test out for you! 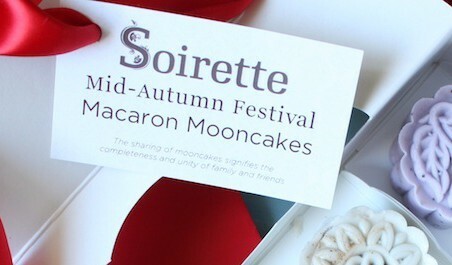 I decided to pre-order these well in advance from Soirette as they have a limited annual production run of only two weeks leading up to the day of the Moon Festival. 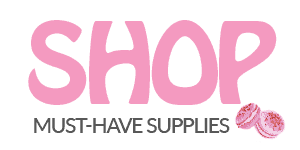 As of this writing, there are no more digital traces of this beautiful treat on their website as it has all been deleted. I hope you enjoy these photos and if you’re interested, hopefully next year you will remember to pre-order a box too. The verdict and tasting notes are at the end. 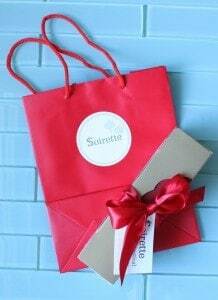 Specially printed box and ribbon all ready for gift giving. The flavors are (from left) Tiramisu Matcha, Milk Tea Mocha, Espresso White chocolate and Early Grey. A set of 4 Minis are $38. 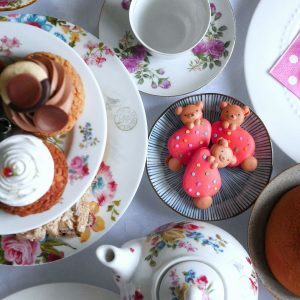 Made an Afternoon Tea Day out of it. 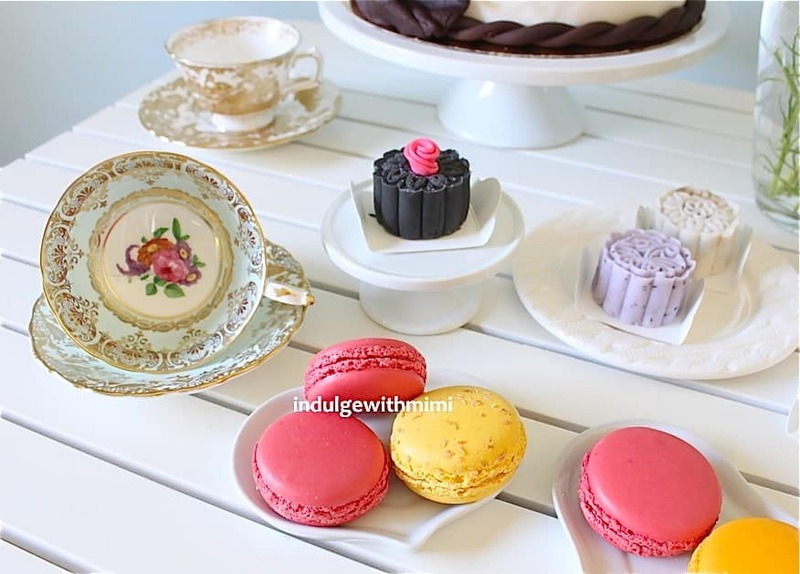 There’s a Chocolate Cake I made plus McDonald’s macarons from Asia. Invited my friends Jo of @whiterosesandcoffee and Nora of @nomnomyvr to be piggies with me. 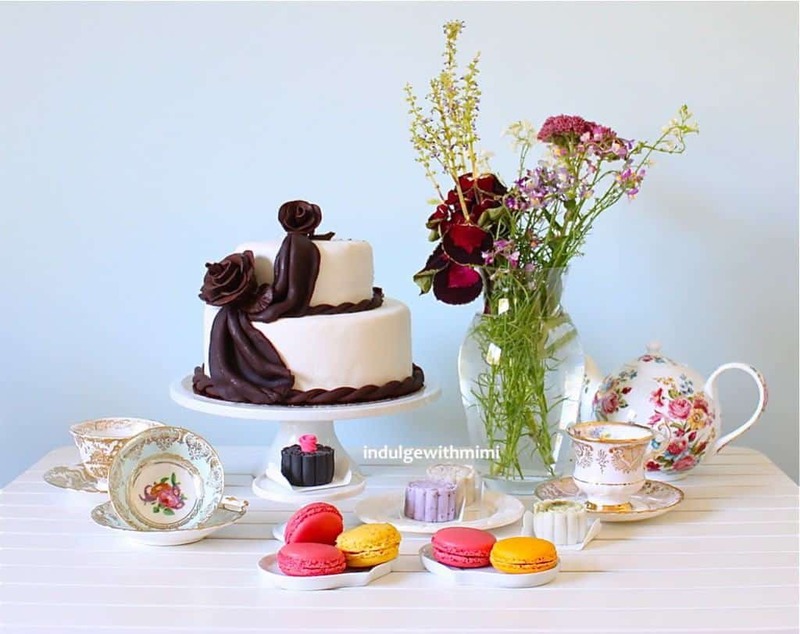 A mint green Paragon tea set newly acquired from the Kerrisdale Antiques Show and a new Royal Crown Derby Tea Set from the Gold Aves collection from Atkinsons Vancouver on South Granville. 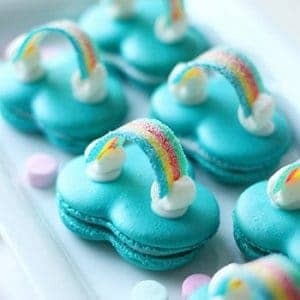 Look at these beautiful macaron fillings! 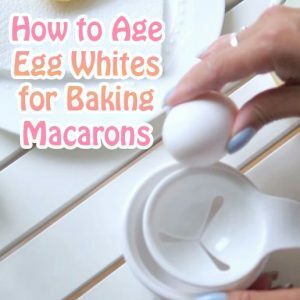 No egg yolks here! All of them are sweet. EARL GREY: Notes of Bergamot and seemed somewhat artificial due to how overpowering it was. It did not work well with the lotus paste. TIRAMISU MATCHA: No distinctive tiramisu or matcha flavour. Jo said it reminded her of green bean paste. MILK TEA MOCHA: My favourite! A delightful blend of cream and coffee which is true to taste and not too sweet. Would definitely like to have this one again. ESPRESSO WHITE CHOCOLATE: Another flavorful combo containing bits of white chocolate. Close up of cross section is in picture above this one. Well, the packaging is top notch so it makes a wonderful Mid-Autumn gift for those in your life who do celebrate this event. Also, it’s a lovely novelty during this time and why not try it at least once with a bunch of friends? 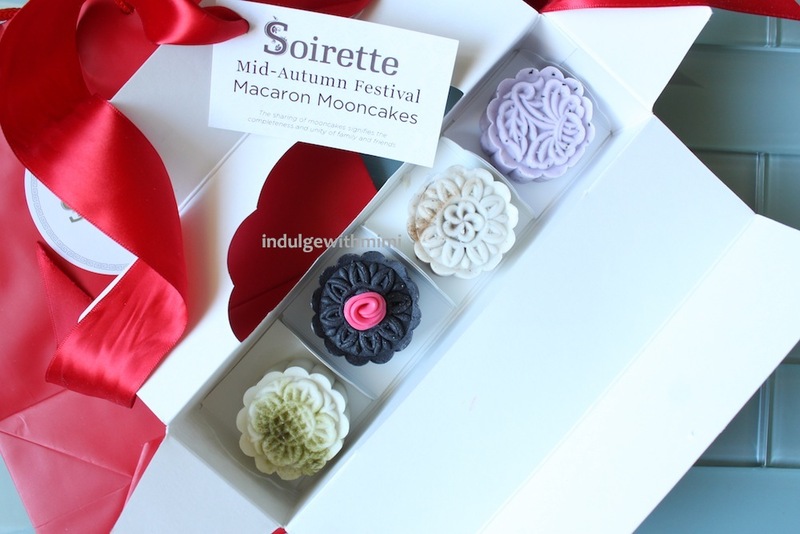 After all, the cleverl packaging reminds us that, “The sharing of mooncakes signifies the completeness and unity of family and friends.” Happy Mid-Autumn to you! 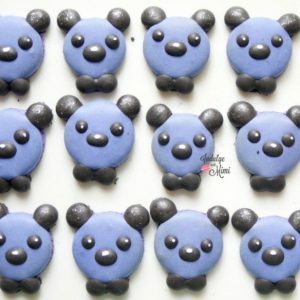 Can you provide recipe for the fillings as well? I’ve tried a few and would love to try yours. You’re the best! BTW, I’m thinking about getting some powder food coloring. Any brand suggestion? 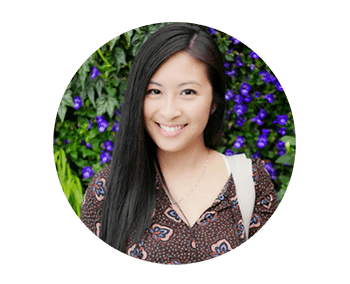 Thank you for your message! I’m so glad to hear that you got it right and on the very first time? That is just amazing! 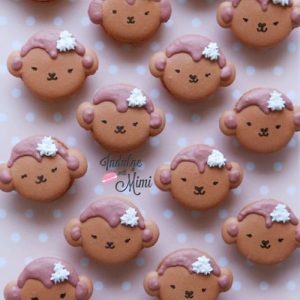 I will have some more recipes for the filling out soon as I have been super busy with my new Macaron Art video for Christmas Bears. There’s actually a Peppermint Chocolate ganache in that post. Very yummy for xmas! As for the powder food coloring, I use gel mainly and I prefer the ones from Americolour. I have heard some other brands are not stable in the heat. I love this post and thanks for using my pic! I can’t believe those mooncakes were so expensive…thanks again for inviting us. We had such a wonderful time!